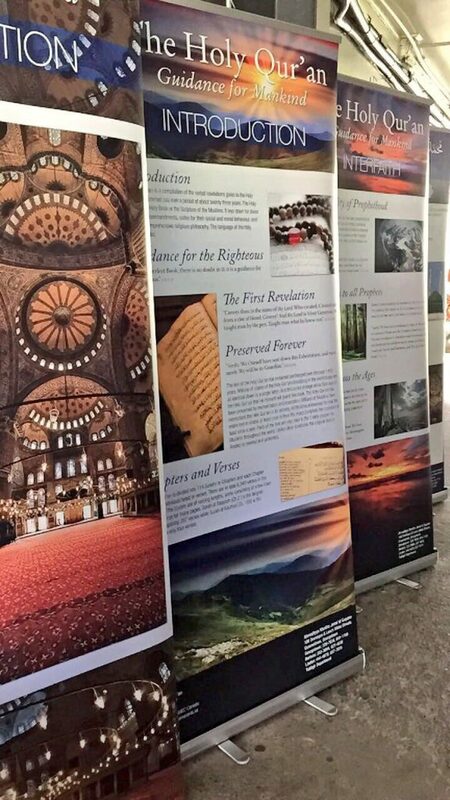 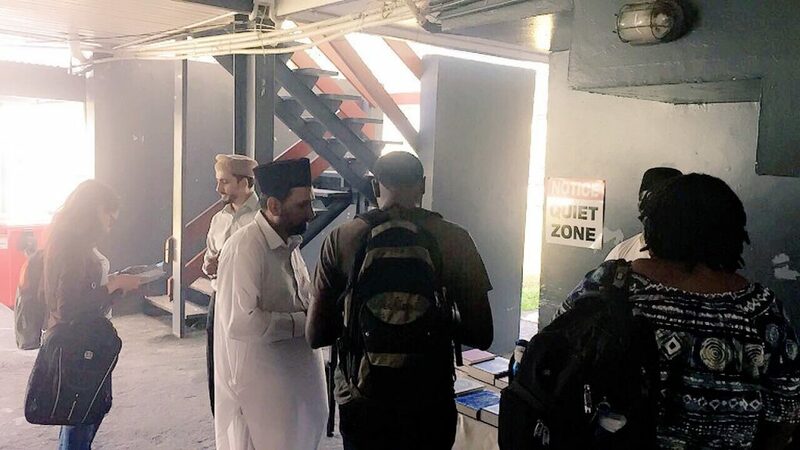 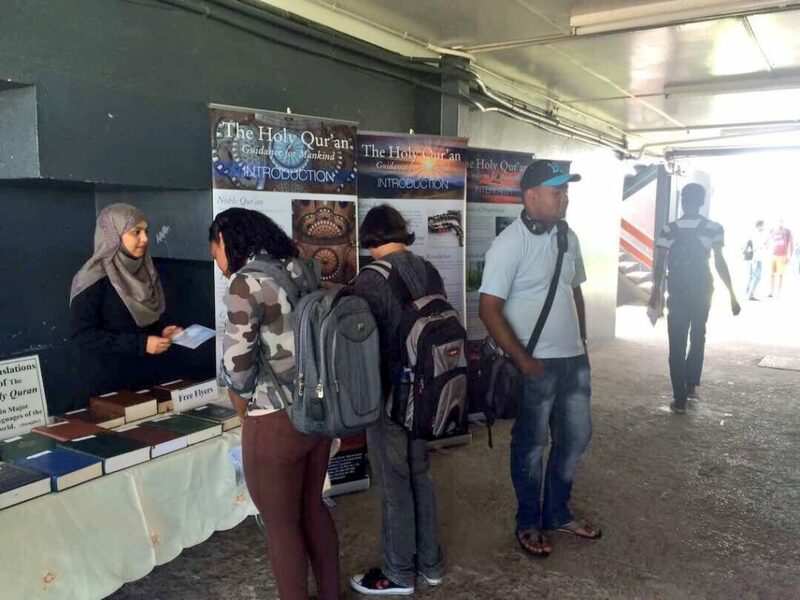 At this event, our missionaries, along with volunteers from Lajna Imaillah Guyana and Waqfe Nau students, headed off to the Turkeyen campus to speak with students, lecturers, professors and staff about various issues of Islam. 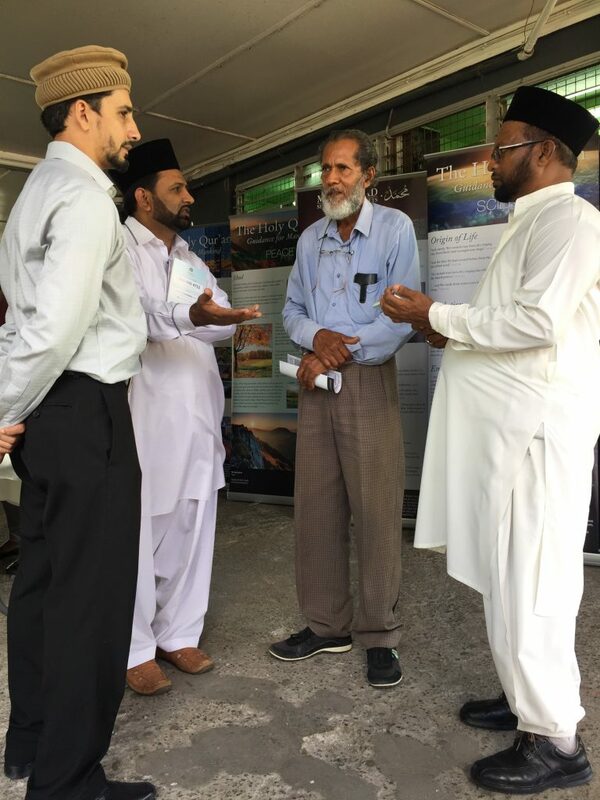 Both students, lecturers and professors, the main targets, were intrigued to learn about various Islamic teachings as their questions were answered by learned scholars of our Jama’at. 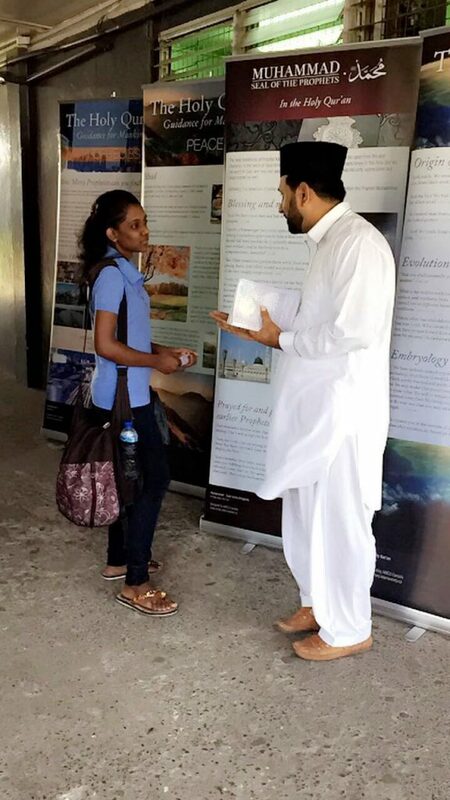 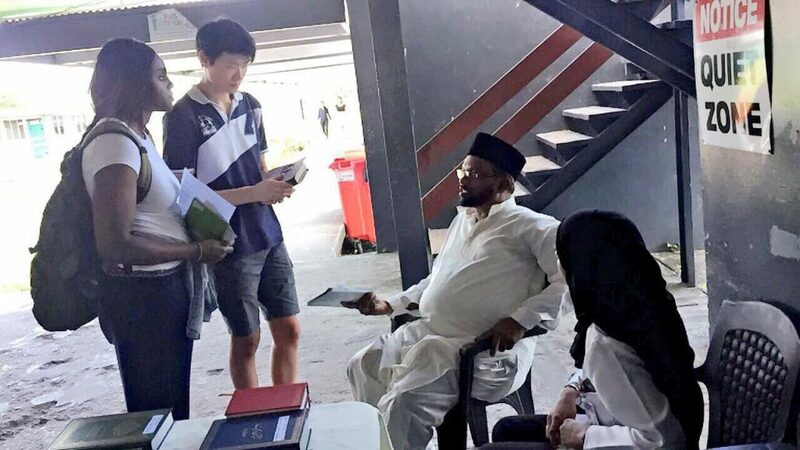 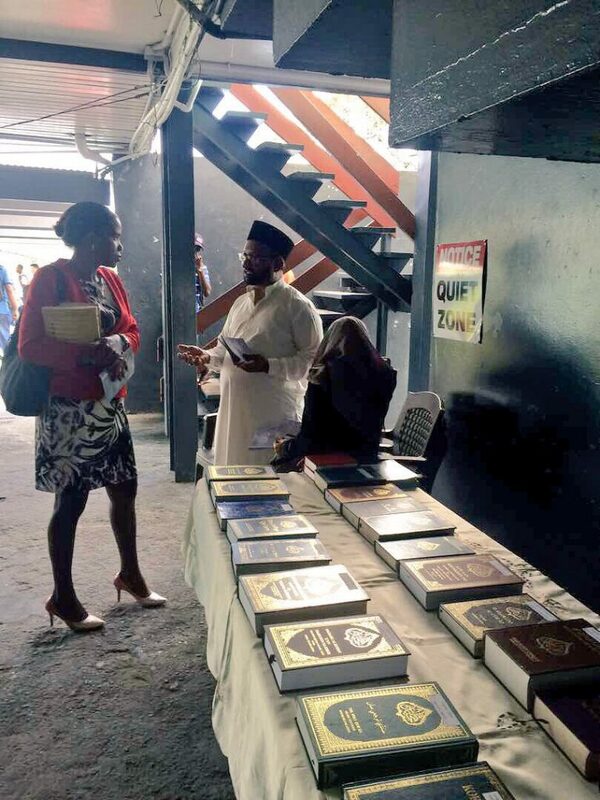 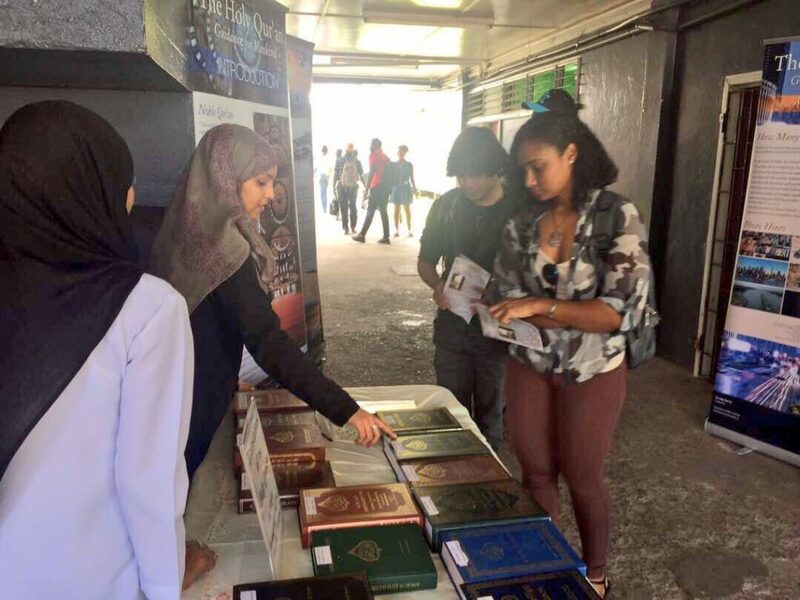 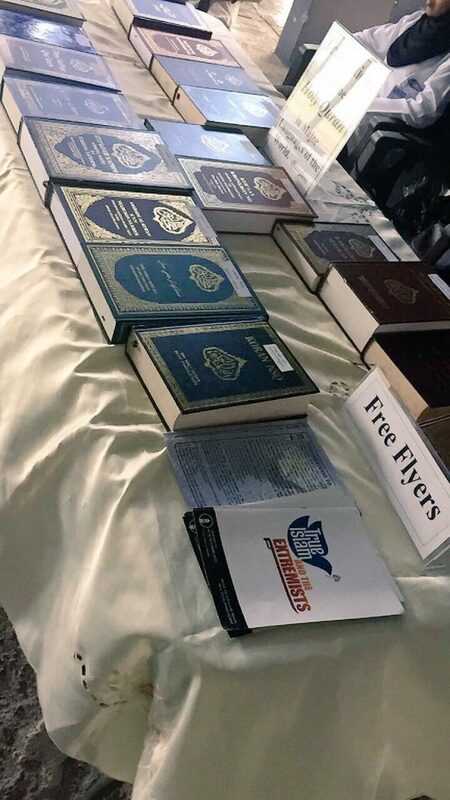 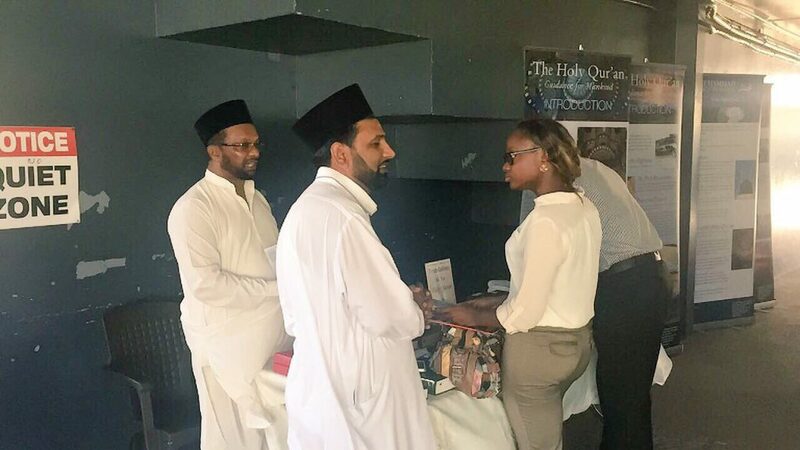 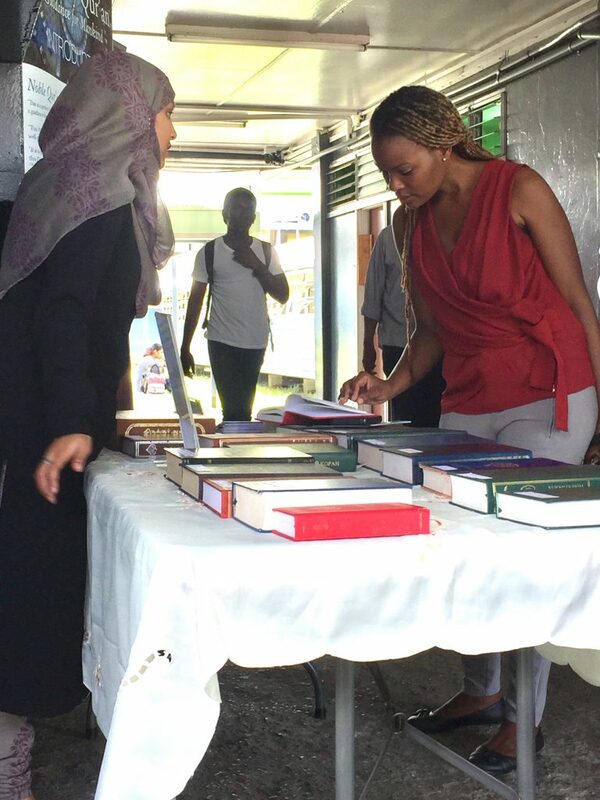 Alhamdulillah, by God’s grace, 180 leaflets were distributed to students and staff of the University of Guyana. 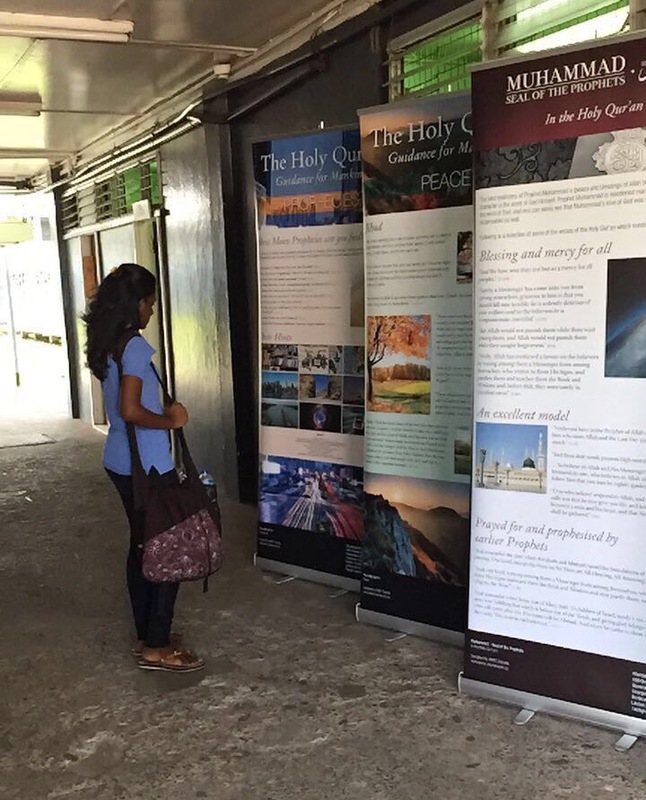 Our missionaries, on this occasion, also had the opportunity to meet with various administrative and student bodies.